Anti-ageing products have been part of the skin care world for eons, and the latest technological developments in anti-ageing skin care are based on what past civilizations utilized and found to be of benefit in their own quests for youthful looking skin. The ancient Chinese and Egyptians were two cultures that looked to natural resources to solve anti-aging issues. In their own search for anti-aging skin care sources, they acted as early skin care pioneers and researchers. They searched, cultivated, harvested, experimented, found and used natural anti-aging ingredients that included herbals, plants, flowers, grains, minerals, animal products, essential oils, healing waters and other natural substances. Some of these same anti-aging sources are used in today’s skin care products for aging skin. They are simply developed and formulated in a more complex and technical fashion as well as synergistically combined to accelerate the anti-aging benefits within the product, as well as provide aging skin with heightened improvement. More technically advanced anti-aging skin care treatment products were developed in the 1980’s with the utilization of skin hydrating ingredients such as hyaluronic acid to plump lines and wrinkles and soften aging skin. By the 1990’s, alpha hydroxy acids were introduced into anti-aging skin care products, and they sloughed dead skin cells from the upper layers of the epidermis (top layer of skin) and presented a more youthful and smoother appearing skin. The millennium brought super anti-oxidants, super enriched vitamins and minerals, second-generation peptides, carotenoids, ceramides, polyphenols, niacinamide (Vitamin B3), Argirline, Matrixyl, growth factors, marine derivatives, and super plant and herbal formulations with green tea, pomegranate, tumeric and citrus and other fruit derivatives. 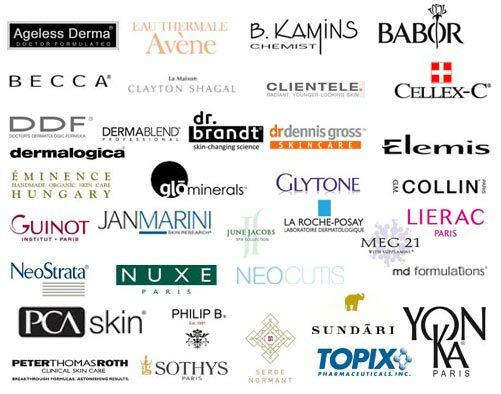 There are numerous, reputable high-end skin care lines that provide specific anti-aging skin care products, and there are over the counter products that offer other choices. Many of these products contain similar ingredients that the Chinese and Egyptians farmed, cultivated, and extracted from the earth thousands of years ago. One skin care line, DDF (Doctors Dermatologic Formula) has incorporated a breakthrough tumeric complex along with rice bran and hydrating minerals in its Advanced Resolution anti-aging skin care line. This award-winning product, Advanced Firming Cream, neutralizes free radicals, moisturizes and instantly firms and tightens aging skin. Another anti-aging product, Ageless Derma’s Stem Cell and Peptide Anti-Wrinkle Cream, contains some of the most valued and scientifically proven anti-aging ingredients yet produced. It consists of natural vitamins, minerals, and peptides, and it utilizes a number of super ingredients such as Argireline, Coenzyme 10, Matrixyl 3000, PhytoCellTec (stem cells from rare Swiss apple), Sodium Hyaluronate, Syn®-Coll (collagen injection alternative) and Vialox Powder (Botox alternative) . This product has been shown to reduce lines and wrinkles as well as provide firmness and elasticity to aging skin while re-energizing the skin with a more youthful appearance. Anti-aging skin care has advanced considerably from centuries past, but today’s scientists, researchers and doctors know and realize that anti-aging products contain what was found and cultivated in the past, and they have adapted what was discovered then and have used it to advance anti-aging technology. The fast-paced development of anti-aging products has seen no end in the race to halt aging, and consumers are ever ready to be part of the race to the finish.